It’s often difficult to determine when an illness can frustrate a contract in an employment relationship. An employee developing a serious illness can place a tremendous strain on the employment relationship. Naturally an employee’s health is paramount, and employees are allowed time to rest and recover in order for them to return to work ideally at full capacity. Yet an employee’s illness places strain on an employer as well, especially when it comes to planning for the future. How long does an employer have to “hold” the job for the individual that is off work? At what point can they deem the employment relationship to be at an end? The issue can be murky, but a recent Ontario Superior Court decision has helped to provide some clarity. In Roskaft v. Rona1, Brian Roskaft (“Roskaft“) began working for Rona’s predecessor in 2002, and went on a medical leave of absence in 2012 due to a work-related injury. Roskaft received short-term disability (“STD“) and long-term disability (“LTD“) benefits through Rona’s provider, Sun Life. Sun Life did not inform Rona of the nature of Roskaft’s disability, only that his benefits were approved. In 2014, two years into his illness, Roskaft obtained medical documentation from his physician stating that he was unable to work, and his return-to-work date was marked as “N/A.” The following month, Sun Life informed Rona that Roskaft could not return to work, which Rona understood to mean return in any capacity. Rona understood Roskaft’s disability to be permanent. In September, 2015, nearly three years after his absence commenced, Rona informed Roskaft that his employment was terminated because his contract was frustrated. Roskaft was informed that he would receive his statutory entitlements under the Employment Standards Act, and could continue to receive LTD benefits under Rona’s insurance plan provided that he was determined to be permanently disabled. Roskaft brought an action to say that his employment agreement had not been frustrated, and Rona brought a motion for summary judgment to have the action dismissed. Rona claimed that by September of 2015, they had seen no evidence that Roskaft was not permanently disabled, and so they were entitled to consider his contract frustrated. Roskaft claimed that he was starting to feel better by 2015, but Rona failed to make any inquiries as to how he was doing. In its 2014 correspondence to Roskaft, Sun Life stated “Periodically, we will be sending you a request for information regarding your employment status, medical condition and any other sources of income. …Any requests for medical information from your physician(s) will be made on an as needed basis.” Roskaft maintained his position that he would have provided documentation had Rona asked. Rona, however, relied on the documentation from 2014, as well as post-termination evidence SunLife received from the Plaintiff in both 2016 and 2017, all of which indicated that his condition had not improved. Roskaft claimed that this post-termination evidence should not be relied upon because it spoke about his condition following his termination, not his state of health at the time of termination. 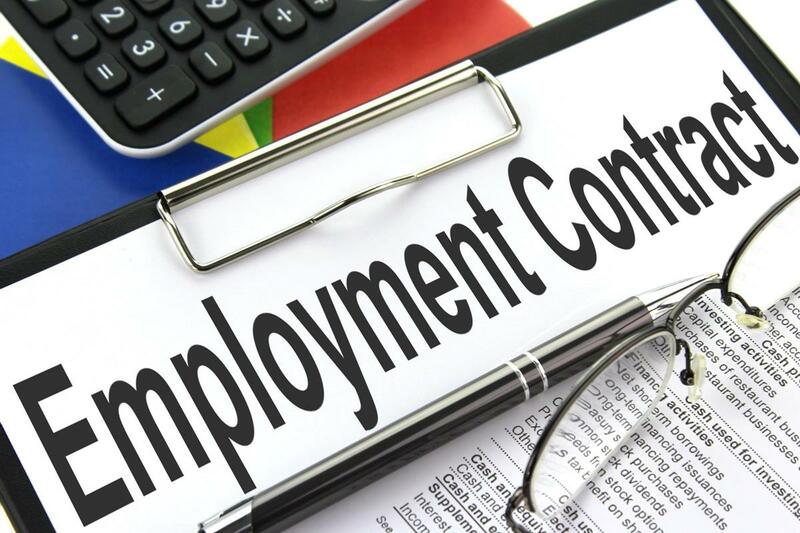 So when can an employer reasonably declare an employment contract frustrated? The Defendant’s motion was granted, and Roskaft’s claim was dismissed. Despite his assertions that he was ‘doing better,’ there was no evidence to support this claim, and the post-termination evidence effectively denied it. Ultimately the Court sided with Rona and agreed that, if after several years of absence there is ‘no reasonable likelihood’ of an employee returning to work in the foreseeable future, then an employment contract may very well be frustrated. However, it appears from this decision that Rona may have made a common mistake. When an employee is out for a long stretch due to illness, it is always best to keep in periodic but regular communication with them, both to see how they are doing and to see if they know when they may be able to return to work. This is best done carefully, so as not to make an ill employee feel that they are being harassed. When done properly, those open lines of communication can make a struggling employee feel supported, and can help bring the employer certainty when planning for their future.